In the Movie Setting dialog box that opens, click Settings in the Video section. NOTEThe Animation codec, among a few others, allows you to set the colour depth to Millions of Colors+, which supports transparency. 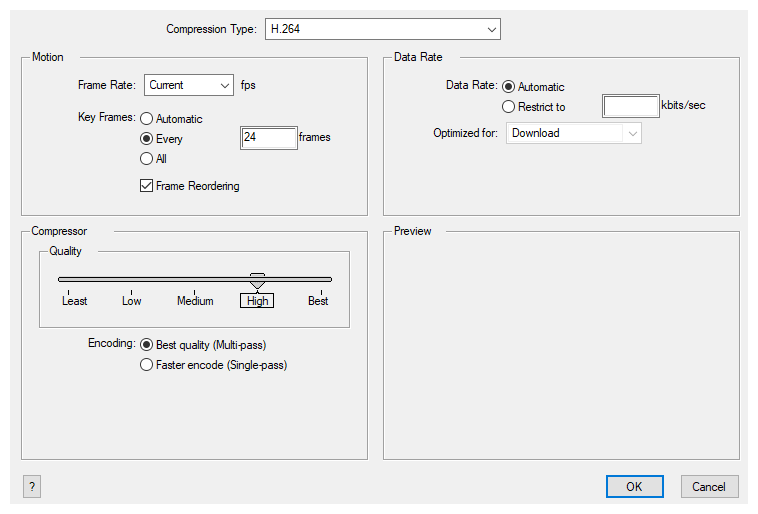 NOTEIf you are using the H.264 codec, you must set the Key Frames option to All, or you will get an error message when you confirm the compression settings. TIPSet this to Millions of Colors+ if you want to export a video with transparency. NOTESome codecs will display a drop-down allowing you to select Interlaced or Progressive, while others will simply have an Interlaced checkbox. NOTEThis setting will override other compression settings, so that the specified bit rate is respected.